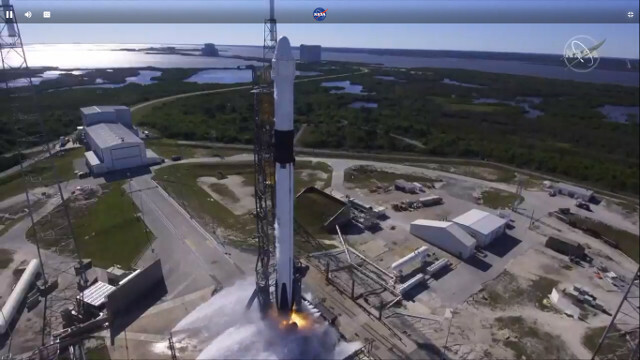 A little while ago the SpaceX Dragon spacecraft blasted off atop a Falcon 9 rocket from Cape Canaveral in its CRS-16 (Cargo Resupply Service 16) mission, also referred to as SPX-16. After just over ten minutes it separated successfully from the rocket’s last stage and went en route. This is the 16th mission for the Dragon spacecraft to resupply the International Space Station with various cargoes and then return to Earth, again with various cargoes.